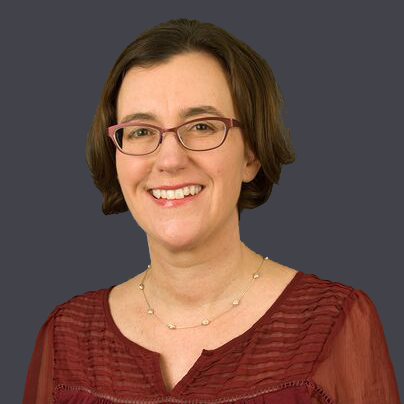 Michele McLaughlin brings more than 20 years of experience working at the intersection of policy, research and practice to Penn Hill Group. She has worked in city and State governments and as a key staffer for former Senate Health, Education, Labor and Pensions (HELP) Committee Chairman Tom Harkin. She has also held significant policy roles at both the American Federation of Teachers (AFT) and Teach for America (TFA). Improving the lives of children is at the heart of her life and career. A former teacher, McLaughlin for years advocated for children in the welfare system and currently volunteers as a mentor to those working to succeed in college. McLaughlin is President of Knowledge Alliance, a nonpartisan, nonprofit membership association that is the leading advocate for education research and innovation in Washington, D.C. In this role, McLaughlin led the campaign to ensure that the Every Student Succeed Act (ESSA) includes an evidence-based innovation fund. She also drove the bipartisan effort to reauthorize the Education Sciences Reform Act (ESRA). At the Senate HELP Committee, McLaughlin managed the reauthorization of the Elementary and Secondary Education Act (ESEA), which opened the door to bipartisan legislation passed by Congress in 2015. She served as the key K-12 education policy advisor to Chairman Harkin, regularly briefing the Senator, managing Congressional hearings and writing public remarks. At TFA, McLaughlin served as Vice President for State and Federal policy and led the effort to successfully change several State teacher certification laws to help grow the TFA teacher corps across the country. She also worked to improve organizational relationships with national education groups, including national teacher unions. As an assistant and then associate director at the AFT, McLaughlin worked on implementation of No Child Left Behind (NCLB), coordinating a nationwide campaign to inform teachers and union leaders about the new law. She also developed NCLB policy positions for the union and drafted public comments, including congressional testimony for AFT’s senior leaders. McLaughlin holds a master’s degree from the Lyndon B. Johnson School of Public Affairs at the University of Texas at Austin and a bachelor’s degrees in political science from Fordham University. You can reach Michele at mmclaughlin@pennhillgroup.com.